Offered to you without comment. Say something interesting in the comments. Posted in Expressions and Equations, Fractions, Solving Linear Equations. Summer’s over. Let’s get back to work here. Nicora, on a recent post, came out against using “x out of y” to introduce fractions. 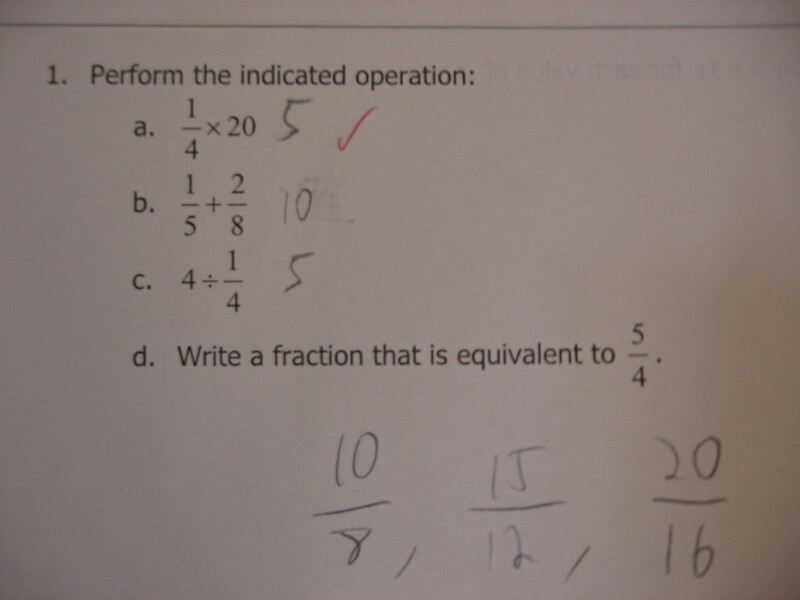 She writes: “One of the most common ways to introduce fractions to young students is to talk about ¾ as “3 out of 4. 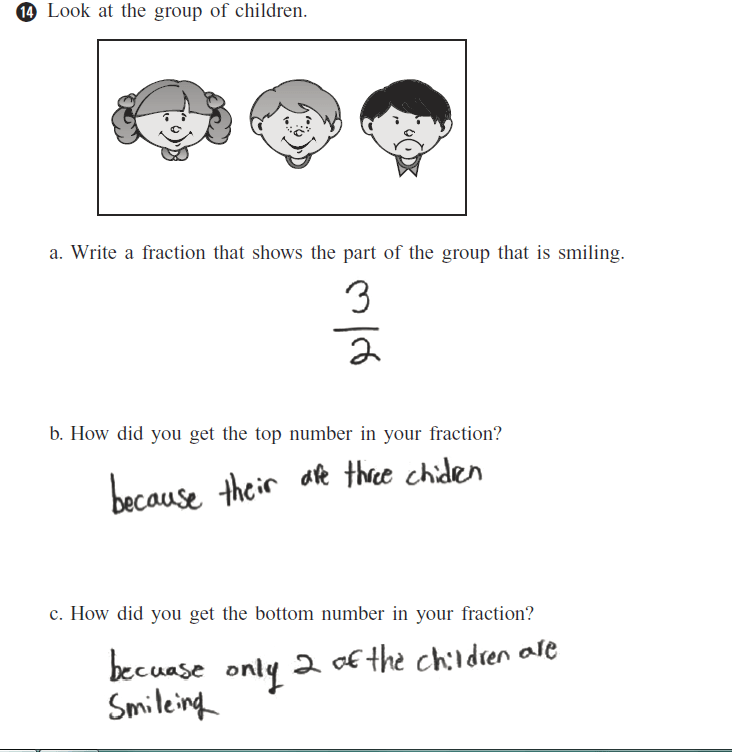 And it’s part of the reason why students have so much trouble with fractions later on.” I wonder whether this is the sort of mistake that you’d see more of if you use this sort of language in class. 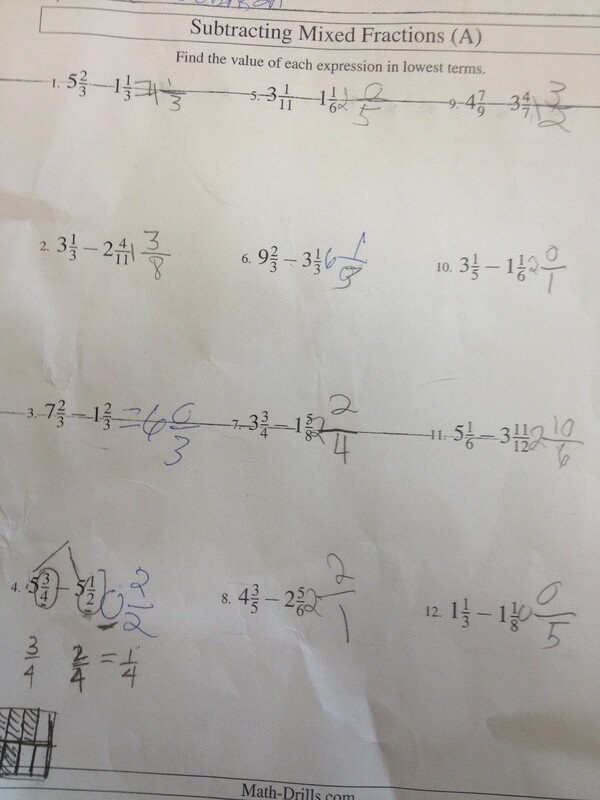 I bet that this student would have trouble if asked to place these fractions on the number line. I don’t really get the task. Are these supposed to add up to 1? What’s the unit here? 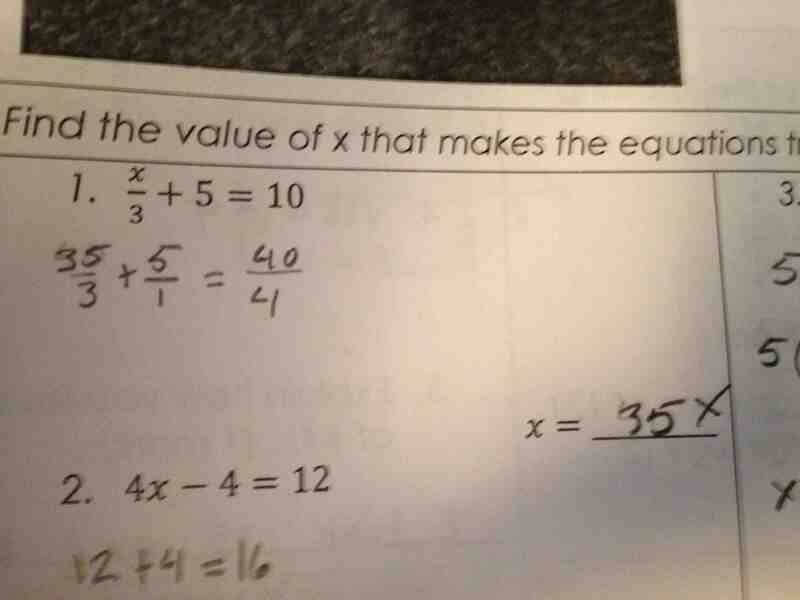 I don’t think that the student believes that 3/5 is more than 2/3. I’d bet that this student just isn’t paying care to the relative sizes of boxes. This aspect of the representation just doesn’t strike her as significant. I also notice, though, that within each activity there’s an attempt to make the boxes the same size. I think that this last observation might be a way into a line of questioning that could help. I’d point to a shaded in box (maybe the kickball one) and ask, “What does this mean?” And then I’d point to another box and ask the same question. 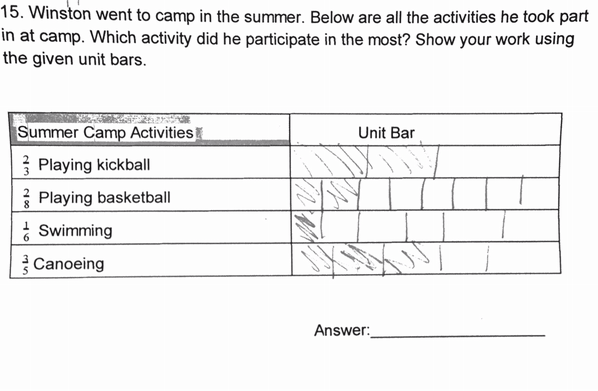 This would force us to bring out the unit, and the comparisons between the shaded boxes would force us to have a conversation about the relative amount of time spent at each activity. This would naturally bring us into ranking, which I think would be a good follow-up activity. There are a bunch of interesting things here — please comment on them — but one moral I’ll take out of this is that learning math often involves becoming sensitive to nuances that would otherwise seem irrelevant. 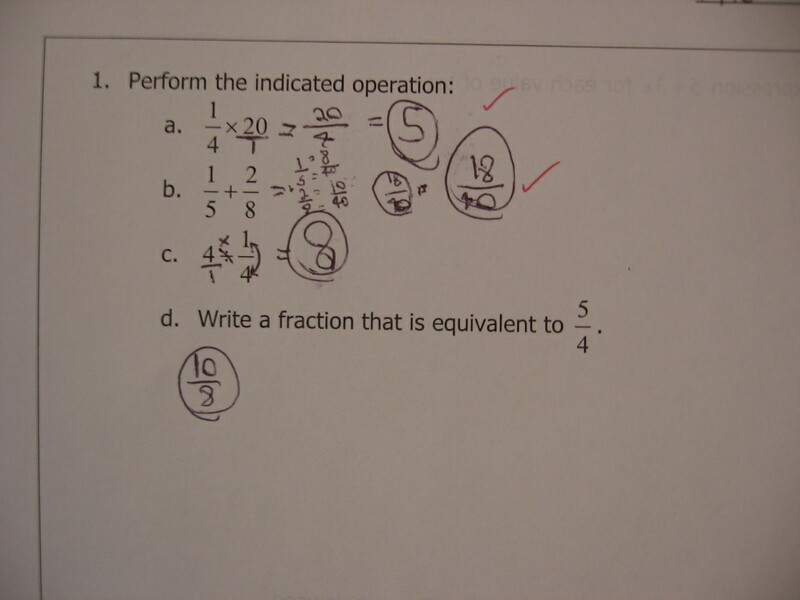 What resources does this student have for refining their understanding of fractions? See the title of the post. What is the significance of this mistake? Say something smart about this piece of student work in the comments. 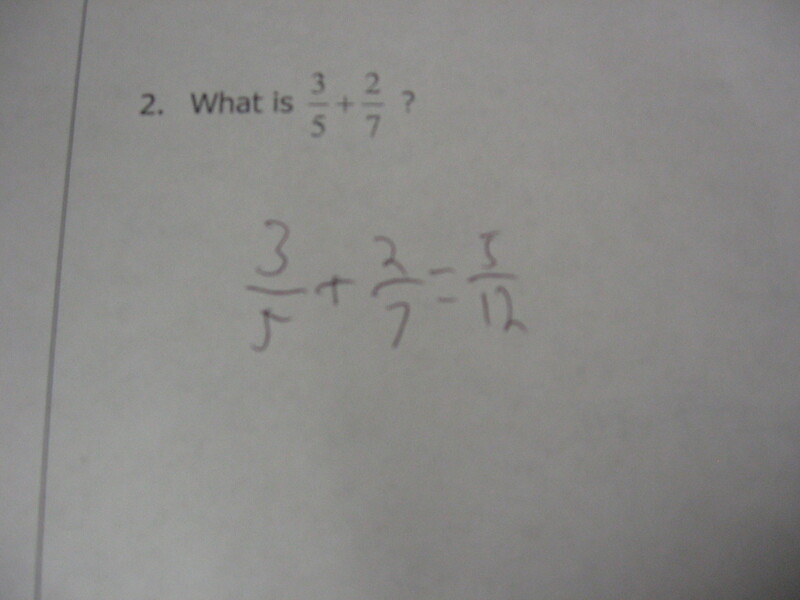 Posted in Distributive Property, Fractions, Number & Operations -- Fractions. Above are three different answers to 4 divided by 1/4. 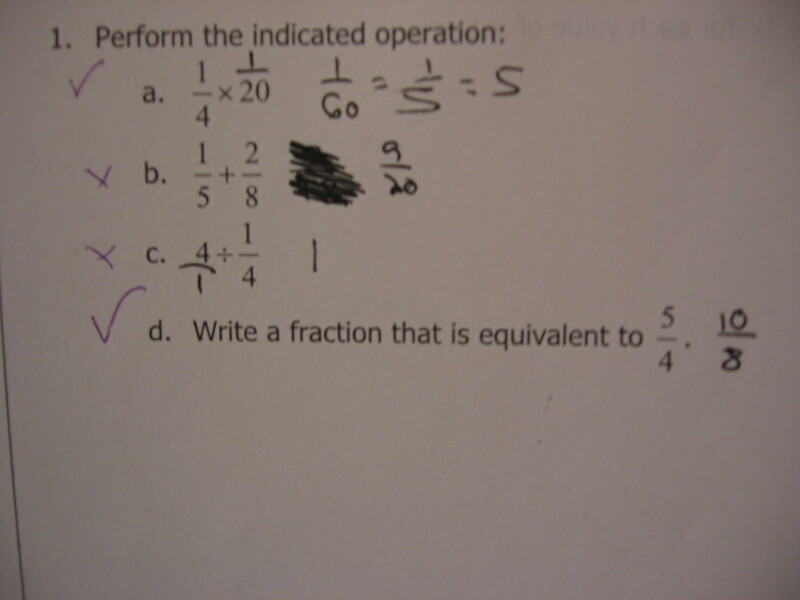 What understanding stands behind each of those wrong answers? 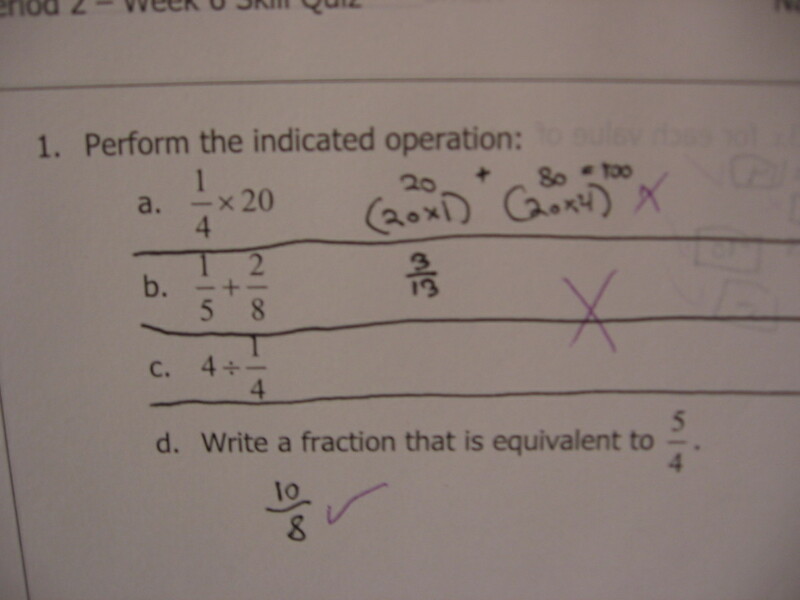 How do you teach division by fractions? I arbitrarily designate some mistakes to be “classics,” and this here is one of them. No need to identify the mistake. It’s right there. But let’s get some wisdom in the comments. What is the significance of this mistake? Does knowing that this mistake is common change the way that you do (or should) teach?